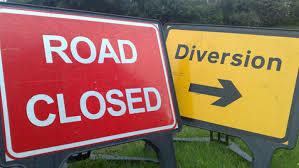 As part of the Connect strategy for maintaining the A30/A35, it is necessary to carry out some maintenance works on the A35 East Road Bridport. This work will initially consist of carriageway drainage works using temporary traffic signals. The signals will operate 24 hours a day from 09:30 on Monday Morning until 14:00 on Friday. Works will commence on Monday 1st April and last approximately 5 weeks avoiding the Easter break. Please note that these dates are subject to change due to unforeseen circumstances. Date: 7 May 2019 for 4 days with an end date of the 10 May 2019 between 0900 and 1600.